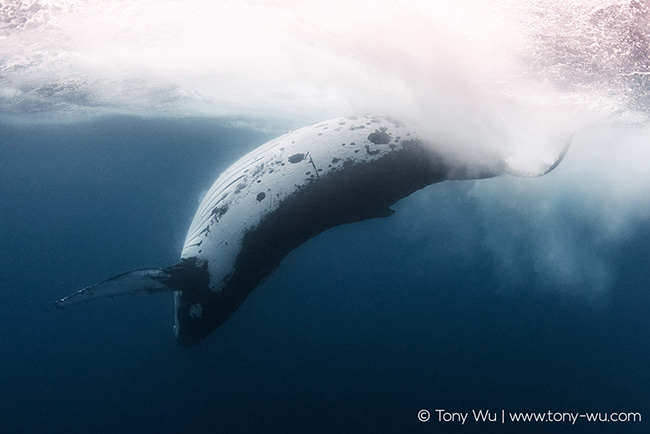 Ever wonder what a humpback whale’s tail slap looks like underwater? 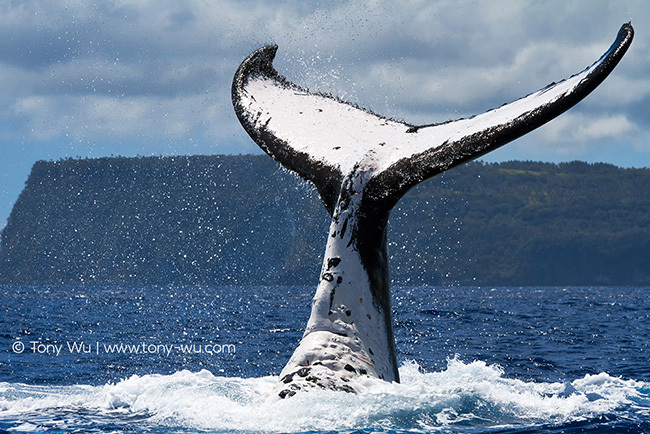 Pictured here is an adult humpback whale executing a reverse tail-slap, which is when the whale positions itself with its ventral surface (belly) facing up toward the ocean surface and curls its peduncle area (rear end) upward, then reverses the direction of its tail with a powerful snap. Given repeated smacking of the whale’s fluke against the ocean surface, accompanied by the powerful follow-through, there is a lot of whitewater created by air that unexpectedly finds itself submerged. You can see in the photo above that the ocean gets all mucked up by the resulting micro-bubbles. For context, the second photo is what it looks like above water as a humpback whale prepares to swing its fluke down.